Homify is back with more ideas! 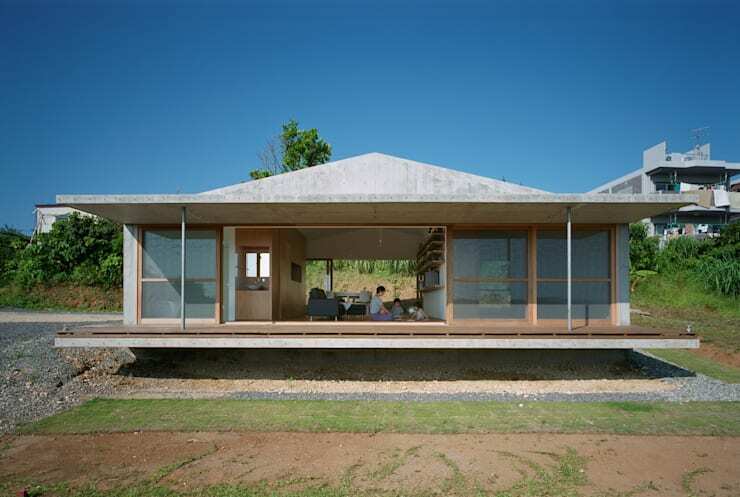 This time, we will take you pretty far to find a home in Iriomote-jima Island located in southern Japan. It is a roller coaster ride coming here. The beautiful scenery surrounded by rich meadows and trees, and the bright sky that looks up from the top was a wild ride! With this stunning view, the design of the house would have to match the surroundings. And this house is a prime example. 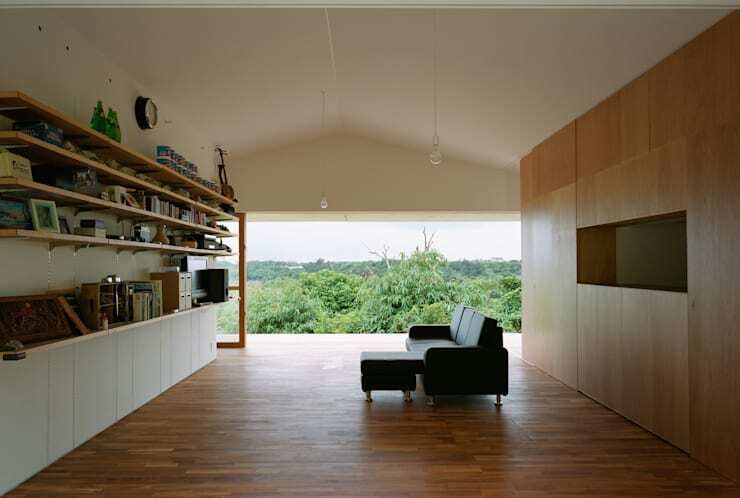 According to Harunatsu-arch Group Japanese Architects, a country house like this can have a stylish and minimalist undertones. Looking at this house could make you feel good. 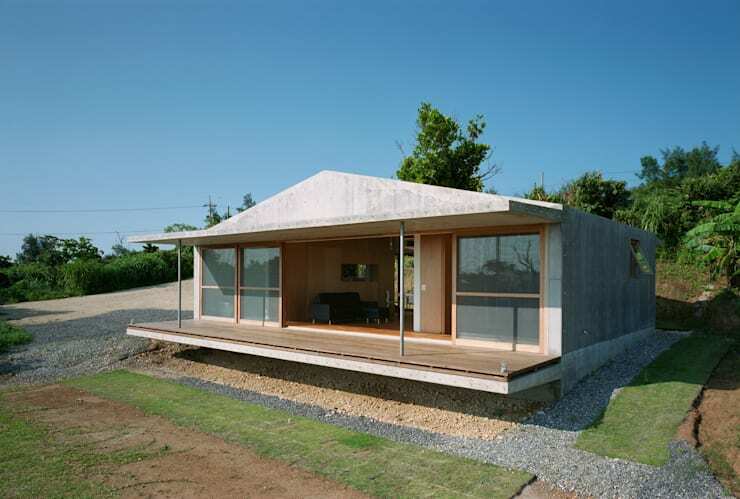 Notice the roof slope that has been inspired by traditional Japanese hat. Since the house does not use glass, natural light enters without hindrance, making it closer to the natural beauty that surrounds it. 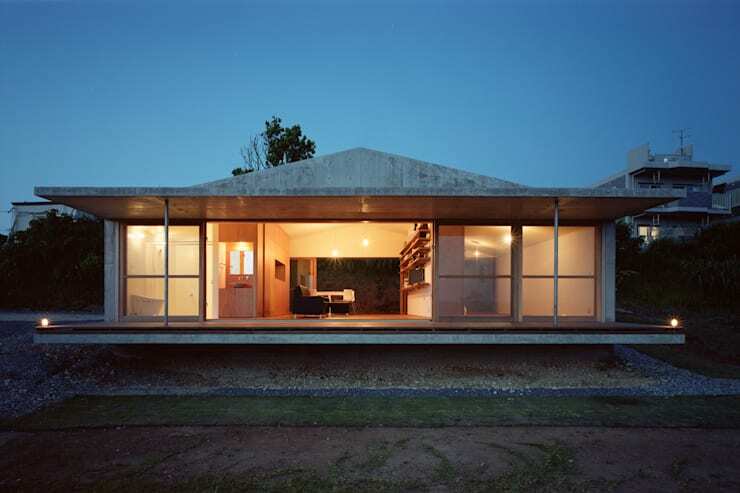 The house is made of durable materials like wood as well as firm canopy poles. This has many advantages including changes in weather conditions. Creating a natural end-to-end scenario, the house connects well with nature. Although standing at only 74 square meters, the house gets an incredible panoramic view. The paved light wood and white wall make the room look wider. This space is ideal for every member of the family who love to spend time together. In terms of furniture, the cabinets bordered on the white floor keeps the overall look neat and orderly. 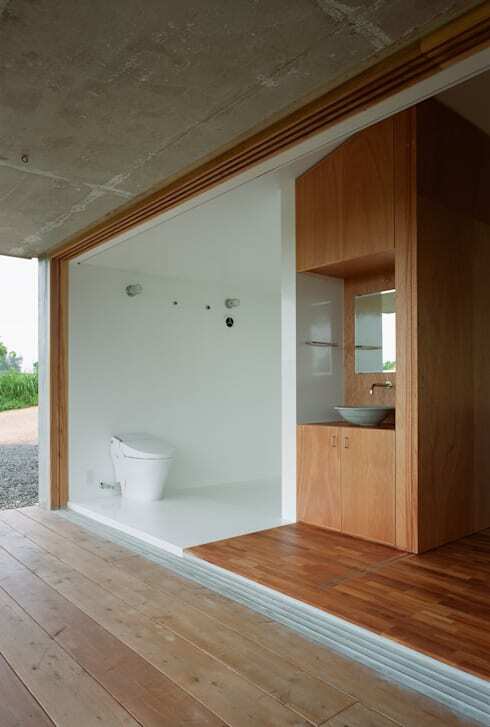 In the bathroom, the architect focused on simplicity, using the traditional Japanese white. The sink sits well to the bottom of a plain wooden desk. If your house is surrounded by this kind of scenery, building walls or installing drapes would be a bad idea. That's why the architects create an open space so close to nature. There's even a nice area to sit and relax. Not an ounce of beauty is lost by nighttime. At night, the soft lighting in the home is clear. The light colors allow the viewer to focus on the beauty of the wood and white walls. This creates the perfect atmosphere to relax even more. What's your favorite part of the house? We'd love to hear from you below.